Chem Processing will be partnering with other Rockford, IL area aerospace companies to host a reception at the MRO Americas show in Atlanta. Please join us for drinks in booth 3103 on Wednesday, April 10, 3-5pm. We look forward to seeing you in Atlanta! Chem Processing will exhibit at the 2018 C-130 TCG in Orlando, FL October 21-23. 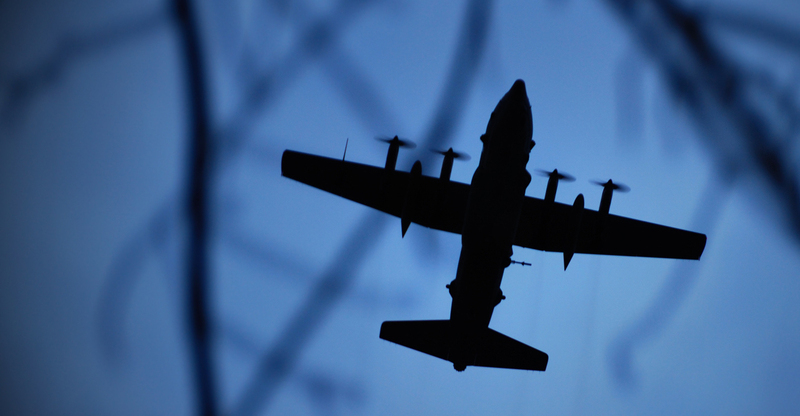 As a key provider of plating and coatings on critical C-130 components, CPI can offer important technical insights to corrosion engineers and maintenance teams attending the conference. Chem Processing will be exhibiting at the NDIA Fuze Conference in San Diego, CA May 15-17. CPI applies plating and coatings to various fuze components and will be available for technical discussions with fuze engineers at the conference. Come to booth 206 April 10-12 at the MRO show in Orlando to discuss your plating, anodizing and coating needs from aircraft repair. 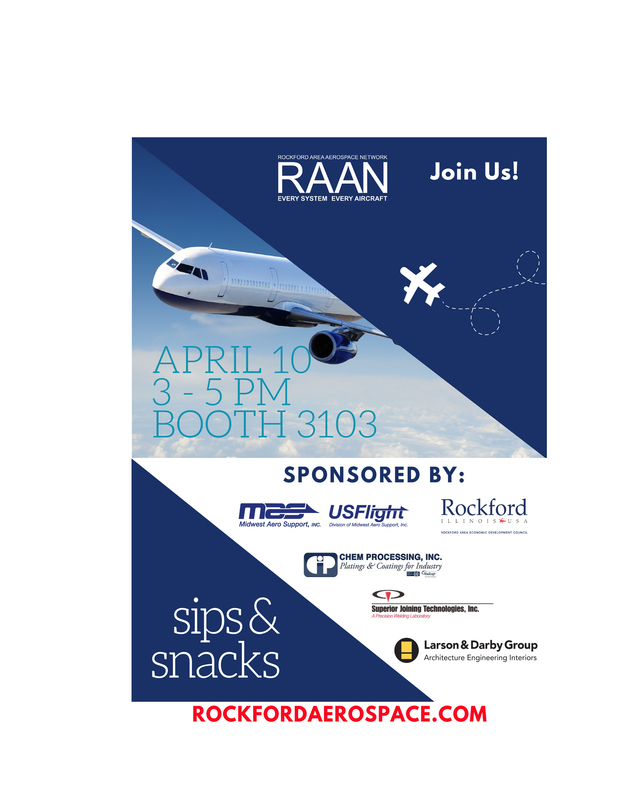 We will also be participating in the RAAN Rockford Area Aerospace Network reception in booth 700 April 11 from 3-5PM. 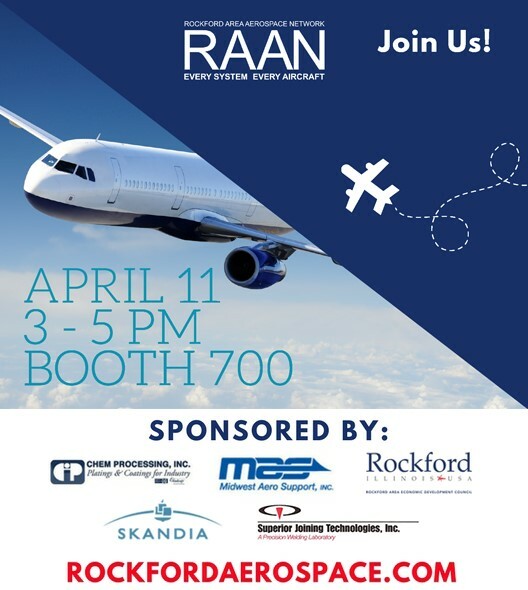 April 26 Chem Processing will be participating in the annual RAAN Rockford Area Aerospace Network symposium held at Giovanni's Restaurant and Convention Center in Rockford, IL. Speakers from Zunum Aero, Electro Optical Systems, Stratasys, CATI, 3D Platform, Woodward Inc. Questek and others will be addressing members of the region's aerospace manufacturing community. Additional details are available at www.rockfordaerospace.com. Chem Processing, Inc. has been approved to apply electrically insulating coating per HS6556. We are proud to be included in a small number of companies with the capability to meet this specification. Chem Processing just completed adding 35,000 square feet of new manufacturing and warehouse space. New capacity to existing processes will be added soon. 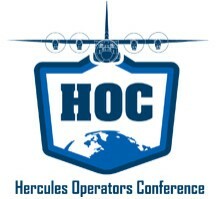 Chem Processing will be exhibiting at Lockheed Martin's HOC Conference in Atlanta October 16-19. Technical staff will be available to discuss CPI's capabilities related to the C-130 platform for both OEM and MRO applications. We look forward to meeting with you in Atlanta. 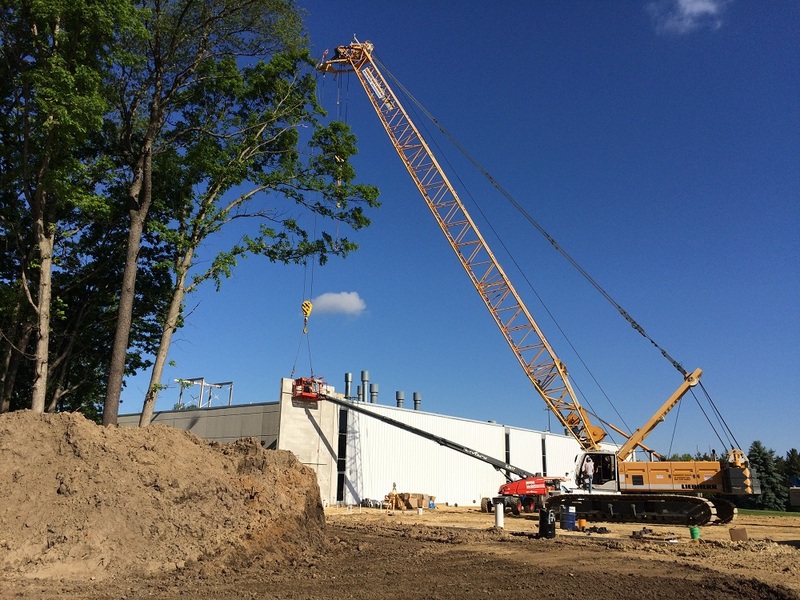 The walls are up and construction continues on Chem Processing's 40,000 square foot expansion. We look forward to offering expanded capacity for key processes. Chem Processing will be exhibiting at the National Industrial Fastener Expo in Las Vegas October 26-27. Technical staff will be in attendance so it is a great opportunity to discuss current projects or learn more about coatings. Read about the company in Rockford Chamber of Commerce's newspaper. See the online version here . Chem Processing sales and technical staff will be in booth 210 at 2014 Denver Amcon Show in the Colorado Convention Center. Visit Chem Processing in booth 2550 at Aviation Week's 2014 MRO Show in the Phoenix Convention Center. For more information about services offered by Chem Processing to the aircraft maintenance, repair and overhaul industry, visit www.mroplating.com. Chem Processing regularly posts company news, industry-relevant articles, and metal-finishing related tecnical information on LinkedIn, Google+ and Twitter. CPI is pleased to announce that Rick Hayden has joined the team as Quality Manager and Matt Rather as EH&S Manager. With a strong backround in quality management, Rick will help CPI sustain its commitment to the highest quality metal finising in the industry. Matt brings a renewed passion for safety to the organization and will carry on the tradition of environmental stewardship that sets us apart. Visit Chem Processing in booth 741 at Aviation Week's 2013 MRO Show in the Georgia World Congress Center. For more information about services offered by Chem Processing to the aircraft maintenance, repair and overhaul industry, visit www.mroplating.com. After auditing our facility and procedures, Honeywell Aerospace has approved Chem Processing, Inc. as a supplier of cadmium plating. Contact CPI if you require an Honeywell approved source for these services. To serve its aerospace and manufacturing customers in Missouri, southern Illinois and surrounding areas, CPI will be exhibiting at the upcoming D2P show. Visit us at booth number 228, at the St. Charles Convention Center. Chem Processing, Inc. has been approved as a supplier of cadmium plating and stainless steel passivation to Eaton Aerospace. Contact CPI if you require an Eaton approved source for these services. Visit Chem Processing in booth 549 at Aviation Week's 2012 MRO Show in the Dallas Convention Center. For more information about services offered by Chem Processing to the aircraft maintenance, repair and overhaul industry, visit www.mroplating.com. After completing a rigorous review of its process, capabilities and facility, Chem Processing, Inc. is now an approved supplier to GE Aviation of electroless nickel plating. For the second year in a row, OSHA gave CPI its prestigious OSHA's Safety and Health Achievement Recognition Program (SHARP) award for workplace health & safety. The board of trustees of the Rock River Water Reclamation District extended formal recognition to CPI for its meeting environmental discharge standards in 2010, giving the company its gold award. In support of the Midwest's manufacturing machining community, Chem Processing, Inc. will be exhibiting at the 2011 Design2Part show in Schaumburg, IL. See you at booth 136! As a high-level supplier to major aerospace OEMs, GKN Aerospace demands the highest quality metal finishes. After undergoing formal auditing to ensure compliance with aerospace standards, GKN recognized CPI as a vendor plated zinc finishes. As part of its continuing commitment to the aerospace industry, Chem Processing, Inc. exhibited at Aviation Week's 2011 MRO (Maintenance, Repair & Overhaul) show in Miami, FL. Thanks to all who visited our booth and made this a successful event. CPI continues its pursuit of metal finishing excellence, procuring official Nadcap accreditation from PRI International. For more information on CPI's Nadcap accreditation, contact one of our technical representatives. Having completed its audit of its facility and processes, Raytheon has approved Chem Processing, Inc. to supply electroless nickel plating. If you are a Tier 1 or Tier 2 supplier to Raytheon in need of approved electroless nickel plating, you can work with CPI knowing that we will deliver the world-class quality required by your prime. As part of its commitment to Rockford's growing stature as a center for aerospace engineering and manufacturing, CPI joins the Rockford Area Economic Development Council (RAEDC) at the National Business Aviation Association (NBAA) show at the World Congress Center in Atlanta. Many of the aerospace components that Chem Processing finishes are used in business jets, in original manufacturing and overhaul/repair. Chem Processing representatives will be available at the RAEDC booth (#8359) to meet with current customers and prospective clients. Update: The NBAA show was fantastic, with high attendance rates and strong engagement. Thanks to RAEDC for all their hard work on this. CPI joins with the city of Rockford in welcoming Embry Riddle Aeronautical University's new campus at the Chicago-Rockford International Airport. 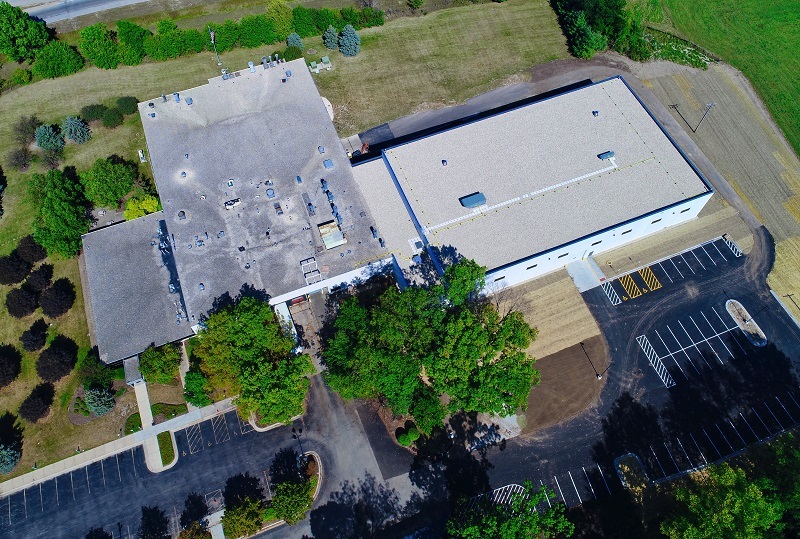 If you are a Rockford area business or resident please sign the petition supporting ERAU's new location in Rockford at www.rocktheair.com. Update: ERAU has narrowed its search to Houston and Rockford, with a decision projected for March, 2011. Go Rockford! United States Congressmen Don Manzullo discussed the state of manufacturing with Chem Processing's president, reviewed current defense and aerospace related CPI projects, and met CPI staff. He also toured CPI's facility and reviewed its broad array of plating and coating capabilities. As part of its continuing effort to meet customers' needs and as a compliment to its already broad array of finishes, CPI now offers low-phosphorous electroless nickel. This finish allows for high as-plated hardness, so a post-plate hardness bake is not required. The plated surface also offers excellent solderability. For more information, contact one of our technical representatives. Chem Processing, Inc. presents its lineup of metal finishing processes at the manufacturing industry's premier venue, the Design2Part show in St. Louis, MO, booth #228. Machining, stamping, cutting and related manufacturing processes are on display, with Chem Processing offering the finishing services that serve as the critical final step on many of these processes. Talk to our experienced representatives about your finishing questions. A team of three senior engineering students collaborated with Chem Processing's engineerinUIUCg team on a continuous improvement projectâ€”the application of automated chemistry controls to the electroless nickel process. The three students and a faculty adviser spent three months studying Chem Processing's electroless nickel process, explored existing and emerging technologies for automation, and presented a series of solutions for CPI at the UIUC campus in Champaign-Urbana on May 10. Congratulations to these now-graduated seniors, and thanks for your hard work on the CPI project. Chem Processing, Inc. presents its lineup of metal finishing processes at the manufacturing industry's premier venue, the Design2Part show in Schaumburg, IL. Machining, stamping, cutting and related manufacturing processes are on display, with Chem Processing offering the critical finishing touch. Look for our booth again in 2011. Rockford area manufacturing leaders gathered at Chem Processing's main facility for a quarterly "coffee talk." The mayor and attendees discussed education and budgetary issues, as well as ways to encourage manufacturing growth in the Rockford area. After extensive testing, CPI received a major aerospace OEM approval to perform Thin Film Sulfuric Acid Anodizing, their version of MIL-A-8625 Type IIB. This finish offers corrosion protection on flight-critical components without generating detrimental internal stresses. TFSAA is thus a viable, environmentally conscious alternative to Type 1 Chromic Acid Anodizing for some applications. Demonstrating its ongoing commitment to its team, Chem Processing, Inc. earned entrance into OSHA's Safety and Health Achievement Recognition Program (SHARP). Joining with other businesses in the region, CPI supports the Rockford Area Economic Development Council in its program to strengthen the city's industry, attract new investment and improve its quality of life. Chem Processing, Inc. presents its lineup of metal finishing processes at the manufacturing industry's premier venue, the Design2Part show in Schaumburg, IL. Machining, stamping, cutting and related manufacturing processes are on display, with Chem Processing offering the critical finishing touch. Look for our booth again April 27-28, 2010. Chem Processing project manager and technical sales representative, Gardiner Rynne, presents the Keynote address at the February meeting of the Chicago branch of the National Association for Surface Finishers, discussing how globalization trends and economic uncertainty are affecting the metal finishing industry in the United States. Chem Processing, Inc. becomes a member of Women of Today's Manufacturing (WOTM) through the Rockford Chamber of Commerce. Chem Processing, Inc. has been a member of the Rockford COC since 1978. In an effort to serve the community with his personal expertise and the resources of his company, Chem Processing safety director, David Anspaugh, joins the executive committee of the Winnebago County Emergency Planning Committee. Chem Processing, Inc. undergoes a rigorous quality improvement process with the help of IMEC as part of its effort to deliver metal finishing services of the highest quality, with minimal defects, delivered just in time. The Illinois Department of Natural Resources awarded 24 Illinois companies this honor. In the official press release, George Vander Velde, WMRC Director, says, "We were impressed again with the variety and quality of the projects undertaken by the winning companies. These businesses and organizations have proven that pollution prevention makes good sense for the environmental and economic health of Illinois. They have achieved their pollution prevention goals and saved millions of dollars in pollution control, waste disposal, energy and raw material costs."